I hope all of you are having a great weekend. Mine is good. I am now trying to live a healthier life and part of it is getting enough fibre, vitamins and minerals into my system. So, I tried making my very own apple carrot ginger smoothie! 😀 I think it was OK, but the person who created the recipe seems to like more bite than I do. So next time, I am cutting down the ginger portion by half. Anyways, this is the third installment of my Sri Lanka series. So, after spending time in the colonial city, Galle, I went up north again to a city called Kandy. It is part of the “hill country” of Sri Lanka. I took an express train ride from Galle to Colombo, then from there continues the next morning to Kandy. The train ride from Galle to Colombo was in the late afternoon. So, on the way, we were very lucky to watch the sunset on the sea as the train tracks are very near the beach line. The trip to Kandy was a different kind of beauty. Since it is in the hills, the train tracks passed through tea plantations, jungles and hills and tunnels, sometimes we passed by valleys or canyons and we would see beautiful scenery of rice paddies. 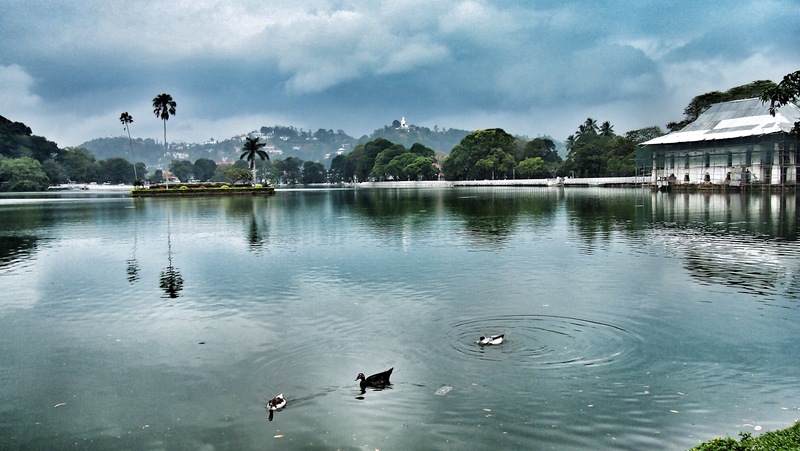 Kandy is the culture centre of Sri Lanka. I think it had been the capital city in the past. What I found interesting was that despite the hilly and steep roads, the main transportation mode is still the three wheelers or tuk tuk! 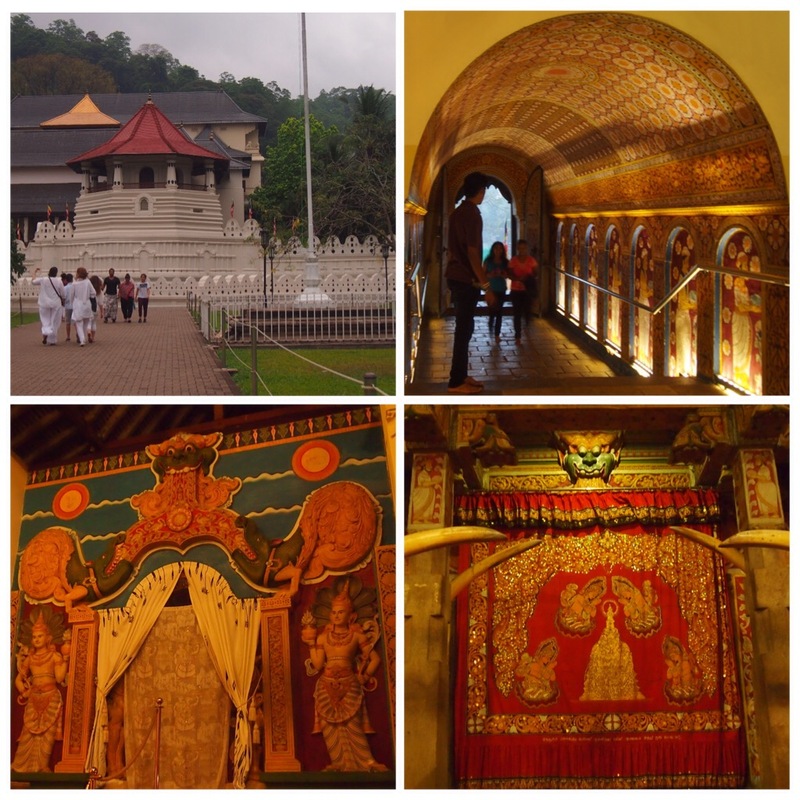 So, here are the pictures I took while in Kandy. Have a great week ahead! 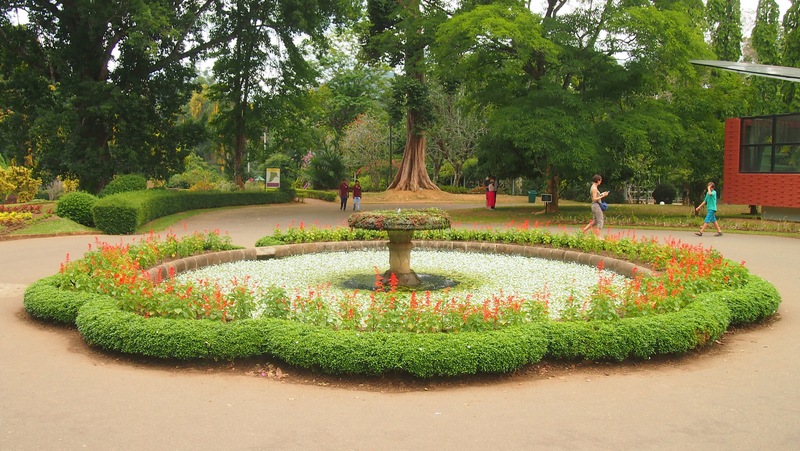 My first stop was the Royal Botanical Garden, as I love parks and enjoy a nice stroll there. I totally love this one! This is located in a town called Peradeniya, about half an hour trip from Kandy. The garden is very well kept and nice and clean. 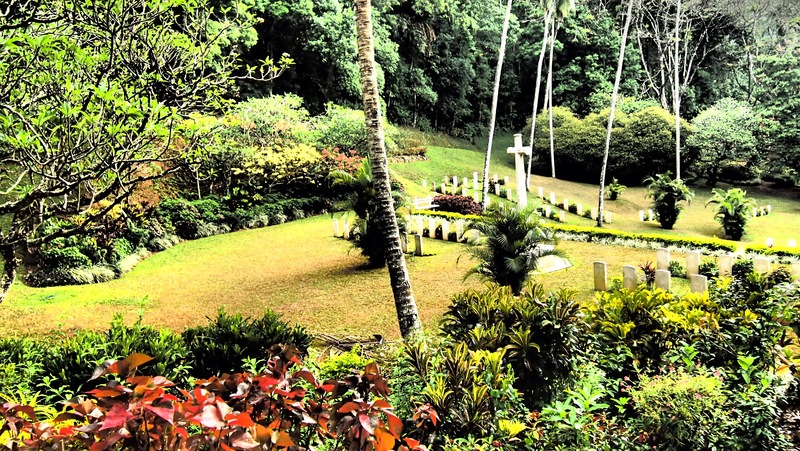 The War Cemetery has a well kept garden as well. It houses the tombs of those who died in WW II. I didn’t have time to enjoy the lake much and only had a brief stop taking a photo. Legend says that when Buddha was cremated, one of his followers managed to take a tooth and brought it to Sri Lanka. The tooth is now kept in this temple.